A fantastic collection of Scottish banknotes is to be offered in our 15th August 2018 auction. Collected over a number of years, Lots 407 to 500 contain collections, individual examples of banknotes in high grades and also unusual Specimen banknotes. 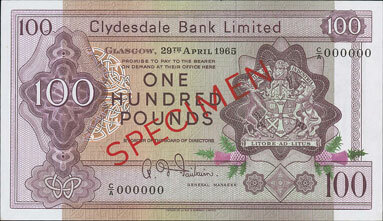 Lot 449 - Clydesdale Bank. 1965 (19 Apr) £100 C/A 000000 overprinted ‘Specimen’ in red both sides, extremely fine. Estimate £300. 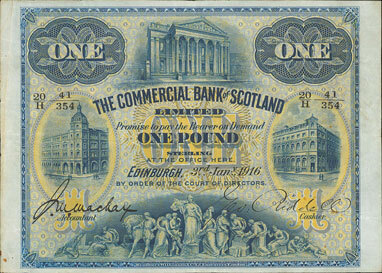 Lot 452 - Commercial Bank of Scotland. 1916 (2 Jan) £1 20/H 41/354 black serial numbers, very fine. Estimate £200. 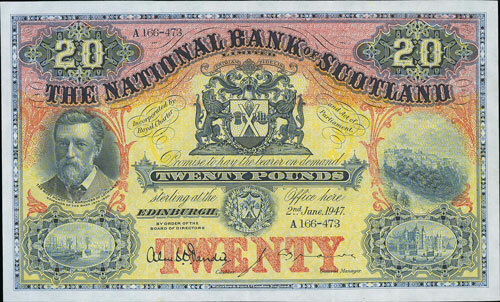 Lot 462 - National Bank of Scotland. 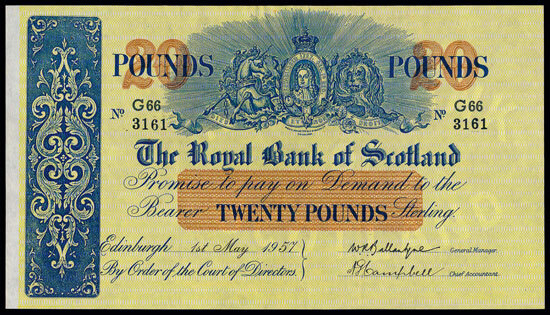 1947 (2 Jun) £20 A166-473m good extremely fine. Estimate £250. 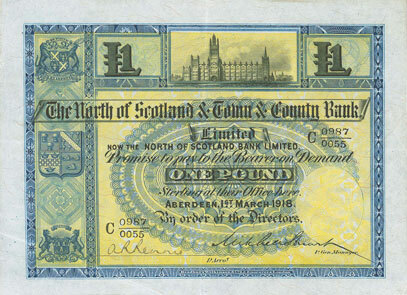 Lot 468 - North of Scotland and Town and Country Bank Ltd. 1918 (1 Mar) £1 C 0987/0055 about extremely fine. Estimate £500. 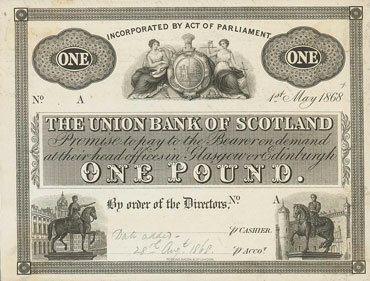 Lot 484 - Union Bank of Scotland Ltd. 1868 (1 May) £1, No. A about uncirculated proof, without signatures, ‘Date added – 28th Augt. 1868’ written in pencil in accountant signature space, on paper 160mm by 120mm, adhesive residue to back. Estimate £120. The full 15th August 2018 auction catalogue is available to view on our website, which also has details on how you can place bids. Our Twitter and Facebook accounts also include updates of all our latest auction news.